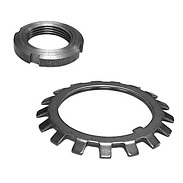 Lock nuts in the KM series are available for metric ISO threads up to and including 200 mm and are locked with an MB(L) washer. You can search by the code fragment, then you will be provided with all possible options. 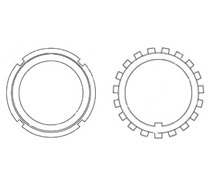 Enter lock nuts (KM), or lock washers (MB) code, or code fragment.